Since I am more of a street photographer (hobby), the challenge for me was to find something in my city that evoked the idea of Mondriaan, rather than trying to replicate one of his paintings. 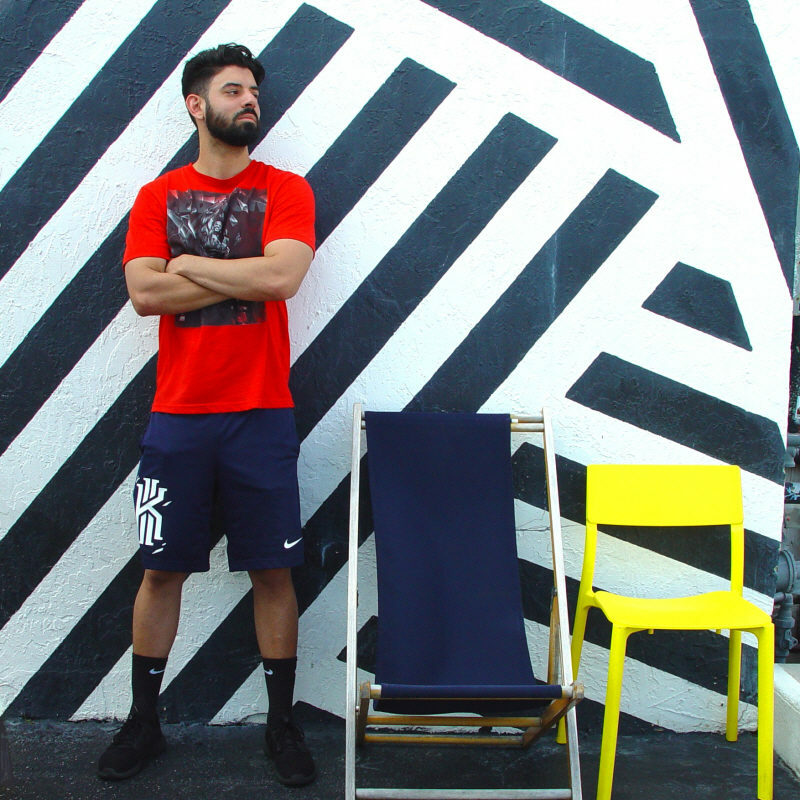 I’ve photographed The Wynwood Building many times, and remembered the blue and yellow chairs that are always outside of Miam Cafe. I just needed red. My daughter spotted this young man eating lunch with his friends, and he was kind enough to pose for me. The American Lung Organization encourages everyone to “ditch the elevator” and take the stairs today. Great find, including the guy in the photo! Love love love! Inspired by, but not exact. Awesome job!